Imagine one of those commercials in which a girl is picking petals off a flower while spouting out the phrases “he loves me” and “he loves me not.” Now substitute me for the girl and the flower with me planting or not planting my face on my desk. “I hate this.” “This is kind of fun.” Ad nauseam. 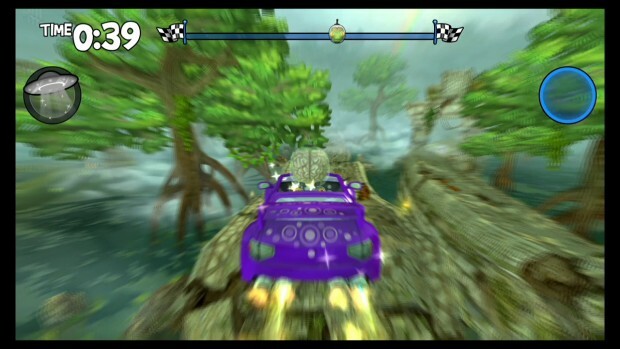 Beach Buggy Racing has been one of the trickiest games that I have had to review to date. Vector Unit has a history of developing racing games such as Hydro Thunder Hurricane and the recent Riptide GP 2, so I had fair assumptions that this game would also be a pleasant experience. It definitely delivers on its promise of “an action-packed, surprise-filled world of off-road kart racing mayhem!” I’m just not certain if that’s fully positive. Content value — Gamers will have a hard time arguing that Beach Buggy Racing lacks in playable content for its cost. Players can participate in an extensive career, randomly generated Championship races (to see who earns the most points across multiple races), quick races and a daily challenge featuring a randomly chosen character, kart and track. For most of those options, the game features 10 different racers, eight karts to race in, four different speed classes and 15 tracks to race on. Most of them need to be unlocked through gradual progression, though. Career variety — In most racing games, career mode consists of racing the AI over and over until the cows come home. 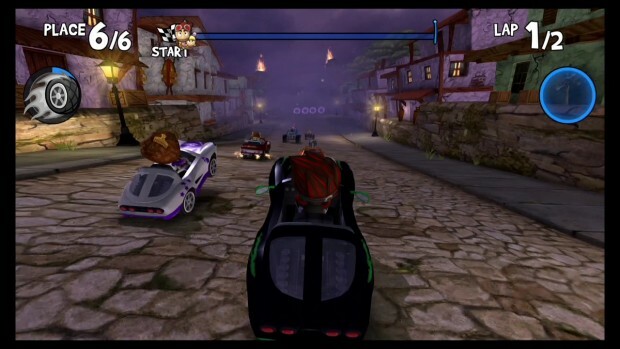 Beach Buggy Racing breaks up the monotony by offering a variety of race types to compete in such as the typical races against the AI, breaking targets with power-ups, elimination races, time trials and more. The different modes are most welcome, as performing well in a specific race can be very testing at times. Local multiplayer — Up to six players can compete against each other in local split-screen racing. While I don’t think I will ever take full advantage of this feature, having it as an available option is certainly nice for those who can get that many players together. The AI — The bane of my existence in racing games is rubber-banding AI. Thankfully, I haven’t had to curse Beach Buggy Racing out for rubber-banding when it comes purely to racing. Unfortunately, I have cursed it out for being excessively relentless with blasting me with power-ups, including on the final stretch of the race with the AI passing immediately after. Whenever it looks like they’re down and out, one of the AI racers will always have something to make players miserable. The result is that it sometimes feels like race outcomes have been left to luck, which is never a good feeling in a racing game. Power-ups system and balance — In conjunction with the AI problems mentioned above, I’m not a fan of Beach Buggy‘s power-ups. While the game has 27 different pick-ups, most of them overlap and accomplish the same goal. For example, the firework, the fireball, dodgeball fury and the tornado all shoot forward and debilitate any racer that is unfortunate enough to be in their path. Another problem is that power-ups aren’t distributed logically. What good does a shield do for a racer in last place? Sometimes, you’ll be trailing toward the back of the pack and will get less than helpful pickups, while other times you’ll pull multiple nitrous tanks in a row to take back a win from certain defeat. I’d love to see this system reworked with some of the excessively redundant powers removed. Kart handling — On some races, the handling feels average. On others, it feels atrocious. 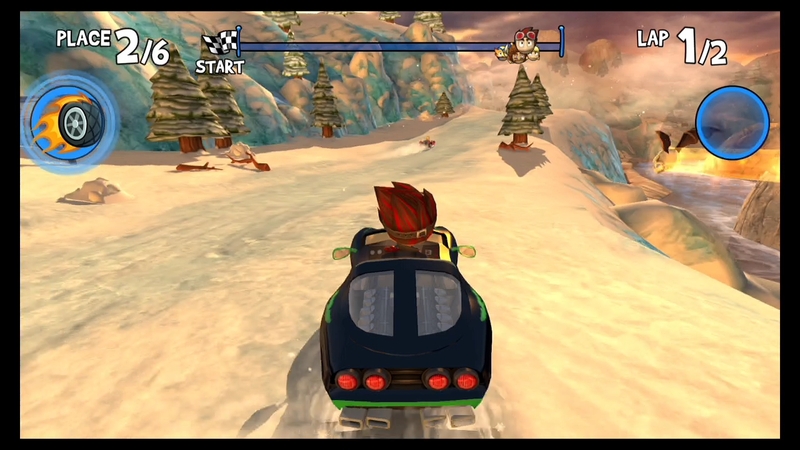 While taking a turn, the kart has a habit of swinging wide or overturning. Quite a bit of this is covered up by the fact that most tracks are extra wide, but I’ve played enough racing games to know when handling feels off. The game is still playable, but this isn’t one of its finer points. Lack of race customization — Each race against the AI always features six racers and two laps. Not every racing game has customization options, but Beach Buggy Racing would have benefited from being able to extend its duration, as many of the races end too quickly. No online multiplayer — While six-player local split-screen versus is an amazing feature, not including an online multiplayer is a huge missed opportunity for Vector Unit. Most ID@Xbox games lack online multiplayer, but this is one that could have stepped up and filled that void. 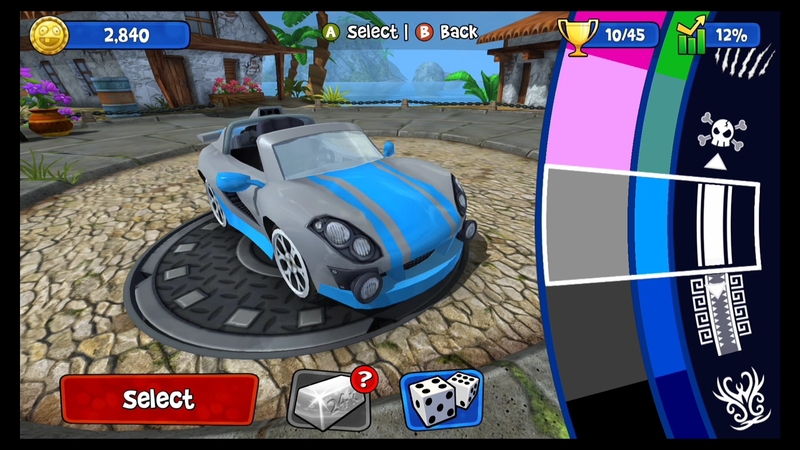 Instead, players will have to search elsewhere for their competitive online arcade racing needs. Beach Buggy Racing is a good experience marred by inconsistent gameplay and unpleasant AI. Kart racers happen to be a sub-genre of racing games that I enjoy, and I welcome this title to the catalog. However, I found myself too jaded by Beach Buggy Racing‘s AI to continue playing for much longer than necessary to review it. Still, the pricing is fair, and there are some fun moments to be had here. Achievement notes: If you want to finish Beach Buggy Racing, get ready to play a long time as earning 1,000,000 coins and driving 9,289 km will take some dedication to unlock. Otherwise, there is a fair mix of tasks like attacking the AI under different circumstances, and completing every level with three stars. 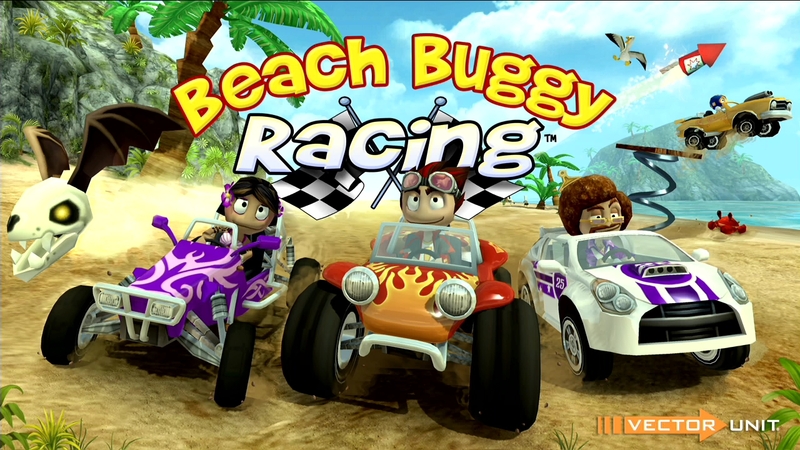 Beach Buggy Racing was developed and published by Vector Unit on Xbox One. It was released on May 29, 2015 for $9.99. A copy was provided for review purposes.